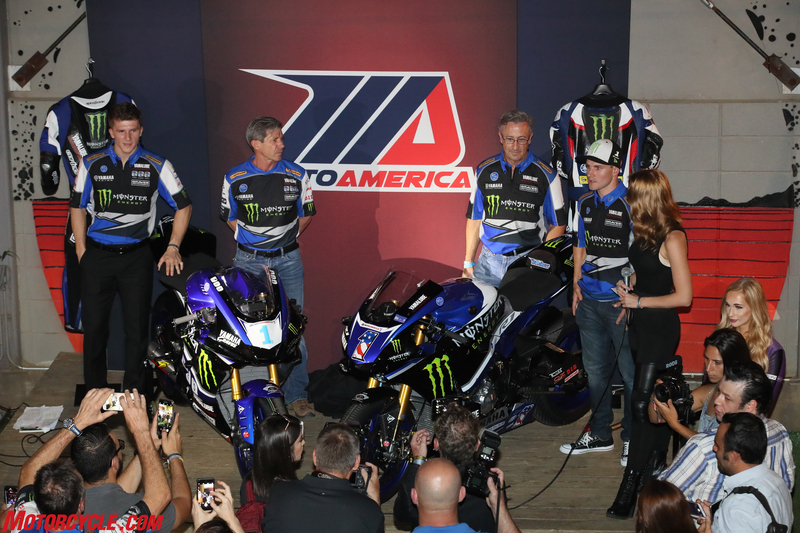 Suzuki and Yamaha both unveiled their 2017 MotoAmerica liveries recently… and they look very similar to their 2016 colors. Yoshimura Suzuki Factory Racing unveiled the new racing livery of the 2017 Yoshimura Suzuki GSX-R1000 Superbike and race team the day before the upcoming pre-season test at the Circuit of The Americas. On Monday evening, March 27, the team was part of the MotoAmerica 2017 unveiling at the Container Bar in downtown Austin. On hand were Roger Hayden and Toni Elias, as well as members of the Yoshimura Suzuki race team. It was a great opportunity for enthusiasts to see up close, the newly-redesigned 2017 Suzuki GSX-R1000. The newest generation of the iconic machine is certain to add to the rich legacy of the GSX-R line of sporting motorcycles. Yoshimura Suzuki was thrilled to be able to make this public presentation of its new Superbike. “We were excited to have the opportunity to present to the public for the first time our new 2017 Yoshimura Suzuki GSX-R1000 Superbikes,” said Don Sakakura, Senior Vice President of Yoshimura R&D of America. “This color scheme is new and striking, but in keeping with the long tradition of Suzuki road racing machines. As excited as we are about the new livery, we’re even more thrilled with the new generation of GSX-R1000. 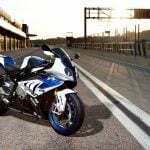 Overwhelmingly positive early reports of the new GSX-R1000 have sportbike enthusiasts eager to swing a leg over the improved machine. This season marks the 41st year of MotoAmerica’s Superbike Championship. Yoshimura Suzuki is proud to have been part of the history of this championship from its inception. The Suzuki GSX-R line is the leader in nearly every category throughout the decades-long tradition of America’s premier road racing series. 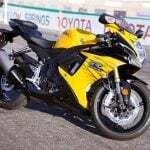 The edgy and clean GSX-R styling incorporates fairing and bodywork details aimed at reducing turbulence and drag. The new livery should allow fans and TV viewers to instantly distinguish the bikes as Suzuki. 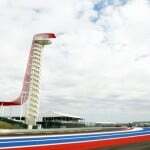 The 2017 MotoAmerica season kicks off at the Circuit of The Americas in Austin, Texas on April 20-23, 2017. You can keep up with the team’s progress by visiting www.yoshimura-racing.com and http://www.suzukicycles.com/Racing/Road%20Racing.aspx and via YouTube at www.youtube.com/user/SuzukiCycles. 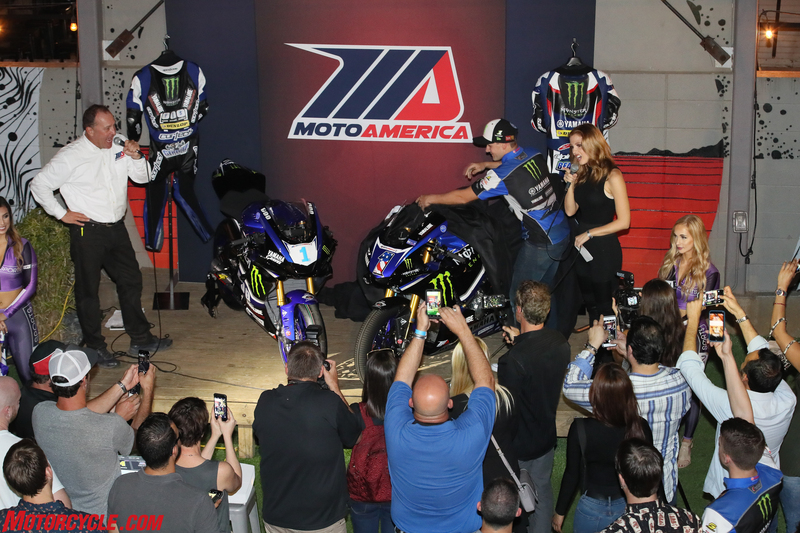 Monday night, on the eve of the MotoAmerica Preseason Test powered by Dunlop Motorcycle Tires at the Circuit of The Americas (COTA) in Austin, TX, Yamaha’s bLU cRU teams and riders participated in the MotoAmerica Livery Reveal Party at Container Bar in Austin. 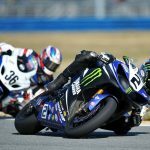 The #1 Monster Energy/Yamalube/Yamaha Factory Racing YZF-R1 Superbike and its rider, two-time and defending MotoAmerica Superbike Champion Cameron Beaubier, along with the brand-new-for-2017 #1 Monster Energy/Yamalube/Yamaha Extended Service/Graves/Yamaha YZF-R6 and defending MotoAmerica Supersport rider Garrett Gerloff, appeared on stage for the crescendo of the evening. Cameron and Garrett pulled the covers off their 2017 machines, to the sound and flash of the media’s and fans’ cameras capturing the moment. Texan Garrett agreed. “I don’t live far from Austin, and to be able to start the season close to home, while getting to show off my brand-new #1 R6, was icing on the cake. 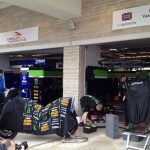 Cameron and Garrett, as well as their teammates Josh Hayes and JD Beach, will be looking to lay down some fast laps at COTA on Tuesday and Wednesday. Yamaha’s bLU cRU teams and riders will return to COTA on April 20-23 for the opening round of the 2017 MotoAmerica road racing season, held in conjunction with the Grand Prix of The Americas MotoGP weekend.